Every athlete knows that good training is a really important part of the sport. 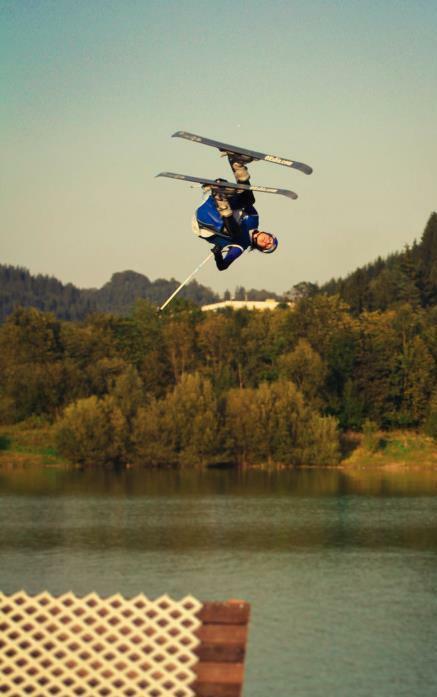 To push your skill level, avoid injuries or learn some new tricks. 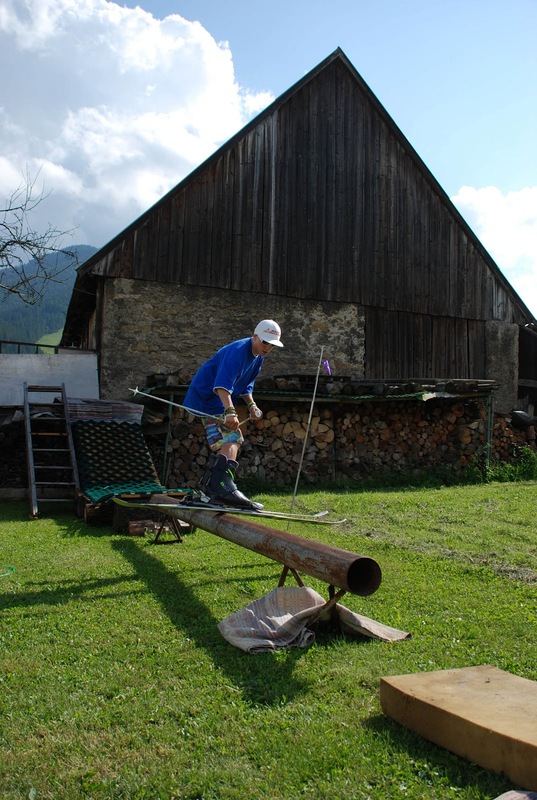 In this blog, I would like to focus on how to keep training for skiing during the summer. It is based mainly from my own experiences. To visit a glacier is the easiest way. For example, Les Deux Alpes (F), Solden (A), Hintertux (A), Kaprun (A), Passo Tonale (I), and Saas-Fee (CH) offer good conditions for summer skiing. Of course, the time you can spend on the snow is limited. Usually you can ski from 8am till 1pm. Personally, I prefer to go for a trip like this just before winter. As we all know, the weather on the moutains can change quite quickly. If you don‘t want to wait for a sunny weather or you preffer for example one-day trip, go to indoorhall. It is good especially for the railing.I visited two of them. The closest one to Prague is Snowtropolis in Germany. It has one slope, aproximatelly 130m long, and one lift.While we were there, the snowpark had just some basic obstacles, but for fun on the snow and trying some tricks on the rails, it was good enough. Unfortunately, we had a bad experience with the snow. Later in the afternoon, it was quite slushy, which was, in some moments, annoying. 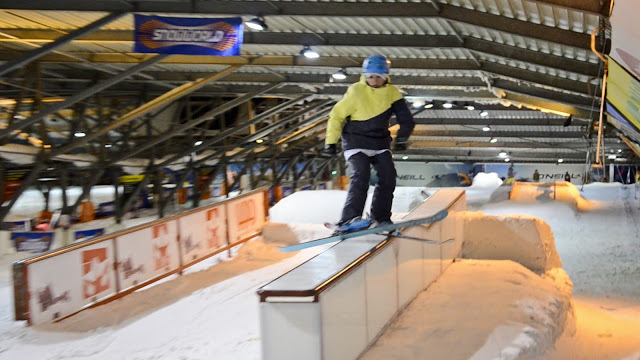 The second hall I visited was Snowworld in The Netherlands. It has three slopes, with one being dedicated to the snowpark only. We were expecting a great park, but unfotunately, it was not shaped at all (at least for a week). Again, though, for someone who just wants to have fun, riding the badly-shaped obstacles isn’t too bad! J. If you also want to enjoy summer also with water, go for water ramps. It is good mainly for the kickers. I don‘t know of any in Slovakia, but I tried three in the Czech Republic. Freejump is around one hour away from Prague. Built by passionate freeskiers and snowboarders, it has one kicker and one rail. 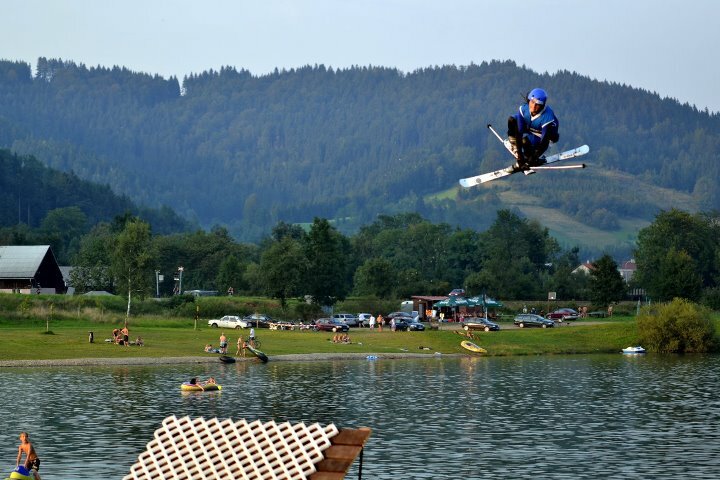 The kicker is huge, so it is better for advanced skiers. This summer, there will also be a trampoline, a slack line and a new grill-bar. Acrobat Park Štíty is an area built by Aleš Valenta maily for mogul skiers. Altogether, it has five kickers, two rails and a swimming pool with bubbles. Profi trampolines and beach volleyball included, accomodation is right next to the water ramps. All with its own rules :). 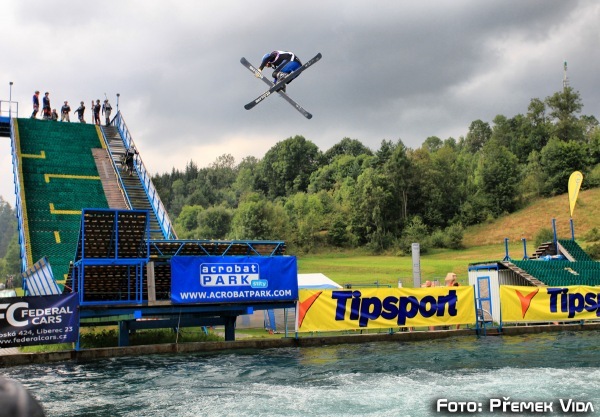 The last (and for me the best) water ramp is BigAir in Nový Hrozenkov. 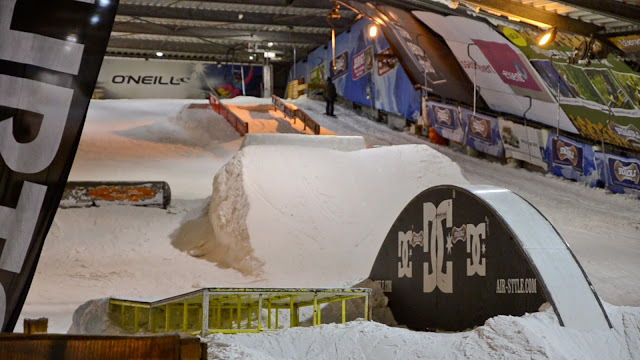 This Small paradise for freeskiers was built by Lukin Mikula. It has three main kickers, which you can combine with speed, so altogether you can jump four kickers. 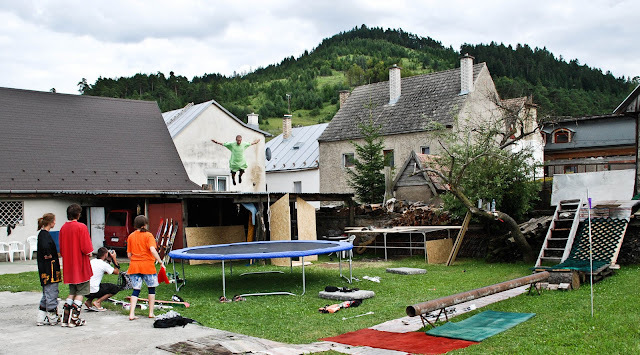 Profi trampoline, slack line, sk8 halfpipe and balance trainer. Acomodation is close to the water ramp. In my opinion, the camps are best organised here, full of progress and fun. If you like railing more than jumps and you dont want to travel a lot, you can also made some rails at home. You need enough space to build it, , an obstacle – old one from the park or make your own, some height to have speed for the rail and a good surface to slide on. In addition, you should not miss installing a good sound system for your favourite music!. In Liptov, Slovakia, we have small park built from such a obstacles. To be honest, I am not sure if it will work this summer. Better ask someone before you plan to go there. Playground at home, pic from July 2009. For this summer, I have couple of ideas about my own training and skiing. First of all, I will keep doing my training schedule, because it is important to have some strength in general. Secondly, practicing while jumping into the water will be crucial. 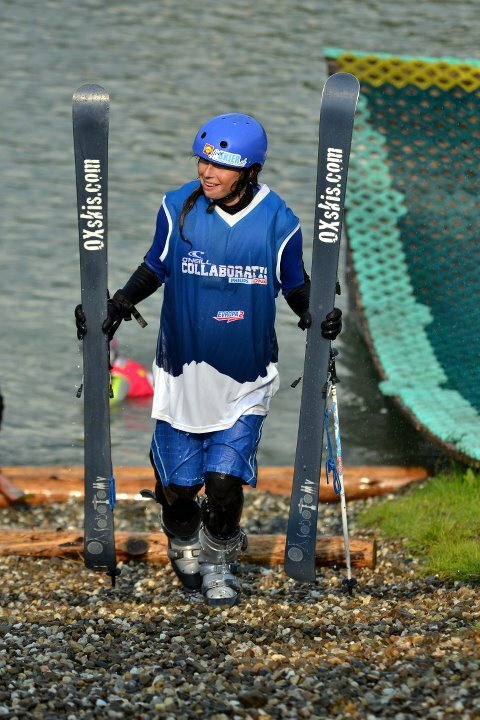 I was able to learn a bunch of tricks on the water ramps last years and this summer, I would like to learn some more. Already looking forward to visit BigAir and Freejump again! If somebody would like to join, dont hesitate to email me :). My summer edit from August 2011, enjoy! 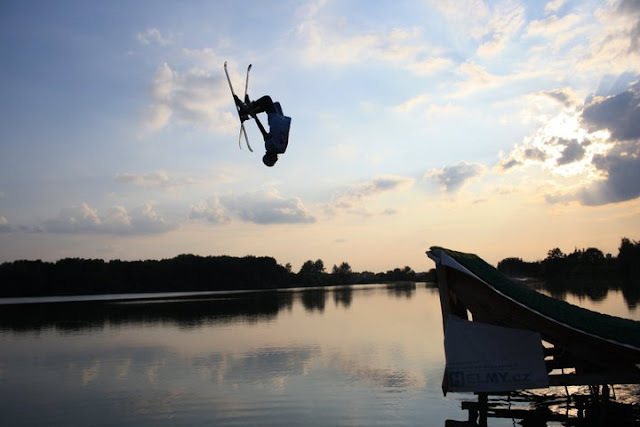 11_08 Hitting waters - summer edit Petra Jureckova from PetraJur on Vimeo.